The other day, a new person came to my class. He had never done yoga before, and he was a runner and weight lifter. He liked to stay fit . I asked him what brought him to yoga class, and he told me he’d been experiencing strange tingling in his arms that seemed to not have any explanation. I certainly am no doctor, but I do know the healing capabilities of yoga. After telling this man I was glad he came to yoga and it was my belief that running and yoga go hand in hand, I started to tell him about how yoga helps to correct imbalances in the body. You don’t have to be a runner or a weightlifter to gain imbalances in the body. Sitting too much, gardening all weekend, playing a single sport for many years, and any other repetitive activity—or nonactivity—can lead to imbalances, which can lead to discomfort and even injury. Yoga works to bring alignment back to the body. That’s why we do poses on each side. That’s why we focus on finding good posture in our poses and bringing awareness to the body. When you become aware of what your body is feeling, you will notice little imbalances, or big ones, during your practice. Perhaps your abs feel weak during plank pose, or your upper back or neck start to hurt during Warrior poses. Or maybe your calves begin to go out during eagle pose. That’s OK. It’s just something to notice. And by the time you’ve reached the end of your practice and are lying in corpse pose in final relaxation, your body is experiencing realignment. Those last precious moments of class, lying flat on your back and in a state of total relaxation are golden. It is when the body can absorb the effects of the yoga postures. Yogis talk of a state of bliss or total calmness and peace at the end of class, and this is one of the reasons why. 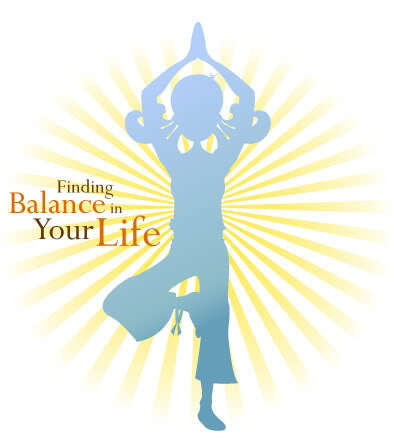 When you give your body a chance to heal itself, a chance to correct those imbalances, then it will feel better. You’ll stand straighter, be less prone to injury and have fewer aches and pains. You might even begin to sleep better. Of course, this can help for emotional imbalances, too. But that’s a whole different blog post. Posted in Benefits of Yoga and tagged Awareness, balance, Benefits of Yoga, Bliss, Calm, correcting posture, Crosstraining, imbalance, Injury Prevention, Rejuvenation, Running. Bookmark the permalink.